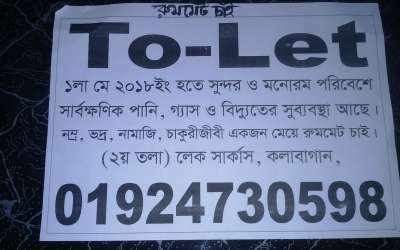 To let. When we first arrived in Bangladesh and saw these signs, we didn’t see two words, but instead assumed the word was “toilet”. Our reaction was to think, “Wow, lots of public bathrooms with misspellings!” Had we grown up in Bangladesh, England, or any country formerly under British influence, we would have understood that “to let” meant “for rent”. Even after we learned this, our then toddlers laughed at the signs. How often do I face a new or different situation and “read” it with my preconceived eyes, my history, and my perceptions, instead of trying to understand what is really going on. How healthy would this world be if we would give each other grace and try to understand the other person’s side…if we assumed the best out of each other. Jesus addressed this when He said, “Love your neighbor as yourself” (Mark 12:31). He was telling us to look beyond ourselves–to love each other as we’d want to be loved. For decades, a stigma has been attached to Bangladesh: international basket case. Yes, it’s had its share of hard times. Yes, it remains the most densely populated country other than city states. Yes, poverty hangs over the heads of the majority. Yet, there’s much more to “see”. Whether it’s our Home of Hope kids or students in Bible school, when I look at them I see hope–hope for their own future but also hope for God’s kingdom and the country of Bangladesh. Thank you for partnering with us in “seeing” a hope and future.